Here dear friends is a handful of items that have crossed my eyeballs on the internet lately. I like to call it Random Linkage. May you all be titillated, entertained and perhaps illuminated. Check out this interview from The Lion’s Roar with Mingyur Rinpoche after emerging from a four year retreat. They’re talkin’ bout my generation over here. The Richness of Everyday Life – Are you feeling it? The Path From Personal Transformation to Societal Change – Let’s get on it! I’m currently reading David Richo’s You Are Not What You Think and quite enjoying it. A healthy ego is necessary to achieving our goals, to building healthy relationships, and to leading a satisfying and meaningful life. But an ego that gets too big—that becomes egotism—can actually inhibit all those wonderful possibilities. In this luminous guide, David Richo offers wisdom from psychology, myth, and spiritual traditions to show us how to let go of the kind of ego that causes suffering for ourselves and others. As a wonderful result, we gain self-confidence and find new ways to love too. It’s not a matter of getting rid of ego but of seeing through it. When we learn to do that, Dave says, we’ll discover the core of indestructible goodness in our enlightened nature. Then, when we see “big ego” expressed in ourselves or others, we begin to regard it with compassion rather than disdain. We are truly, Dave shows, not what we think but much, much more. It ain’t bad to get mad – just be cool OK? What kind of Zen teacher has panic attacks? I’m feeling the energy… Are you? In cased you missed my recent blog post about my recent big night out – well here’s a bit of serendipity after seeing this article a few days ago. Seems that many more of us are starting to have big nights out. And for those who struggle with anxiety, that’s saying a lot! This is likely one of the more bizarre show reviews you are about to read. It’s written by someone who grew terrified of going to see bands. A panic attack during the opening act before the band OFF and boom, I was OFF. OFF to the bathroom to have a meltdown and then OFF in a taxi headed home, and feeling like a chump. For a period of time, I dreaded leaving the house. I was gripped by the fear of even thinking about being in a room filled with loud music and other people. I was buying tickets to shows only to stay home. At very least I was supporting the scene I guess! I beat myself up over not going to see the last Tony Sly show before he passed. Festivals. Outdoor shows. Indoor shows. Acoustic shows. Stadium shows. Any show. I was a no-show. I collected unused ticket stubs like those people who save the bouncer-torn tickets from the shows they actually made it out of the house to enjoy. Finally, after moving out from depression and anxiety into being able to baby step my way back into the mosh pit, I made the pact with myself that I was not missing PEARS at Foufs the end of September. Given my experience with OFF, it could have been entirely possible that I would have had a panic attack and found myself at the market down the street bathing myself in a bin of PEARS. I decided to give myself over to working with whatever came up. I sat around in that old familiar bar and it was OK. My husband and I went to many shows there before and this night was like a return to the good old days. We made our way to the space where I had my meltdown of fear and it was OK. I stayed near the door for a bit and then moved my way further through the area and towards the merch table. Ahhhhhh! My old friend merch table. A great source of pleasure for a girl with a serious black band t-shirt addiction. I was sad to see the PEARS hoodie was only in big people sizing and recognized the merch fella for the band and asked him if they’d have any in stock on their online store. Because I really am a die-hard fan of the band, I knew his name and completely freaked him out. I dunno. I just kind of pick up these kinds of things. Maybe it’s the finishing school element that I have from being in the ‘business world’ but I always remember names. I did not want to be the brat that was beat upon. That didn’t happen. I made it through the show unscathed and without incident. I was dying. Dying to see PEARS. It had been months- maybe a year that I’ve waited to see this band. And I was in the belly of the beast – waiting for them to take the stage. The entire band is just the tightest, best-sounding thing to hit punk rock in some time. I had no fear given I was just so stoked to see them. No panic. In the moment. Present moment right here folks. No fear of the past panic attack. No fear of the future potential of my heart giving out due to the absolute joy of seeing them live. Just now. In the moment. To not mention that Teenage Bottlerocket was also playing that night would be a great omission on my part. I was able to finally meet the power pop punk rock Bodhisattva himself – Miguel and was thrilled to chat with him for a short bit. They played many new and old favorites and had such a great stage presence. The crowd loved them and rocked out fully. Not a panic attack in the house as everyone was all smiles! It’s with great sadness that I write that their drummer Brandon Carlisle (Bran-Bran) passed away on November 7th. 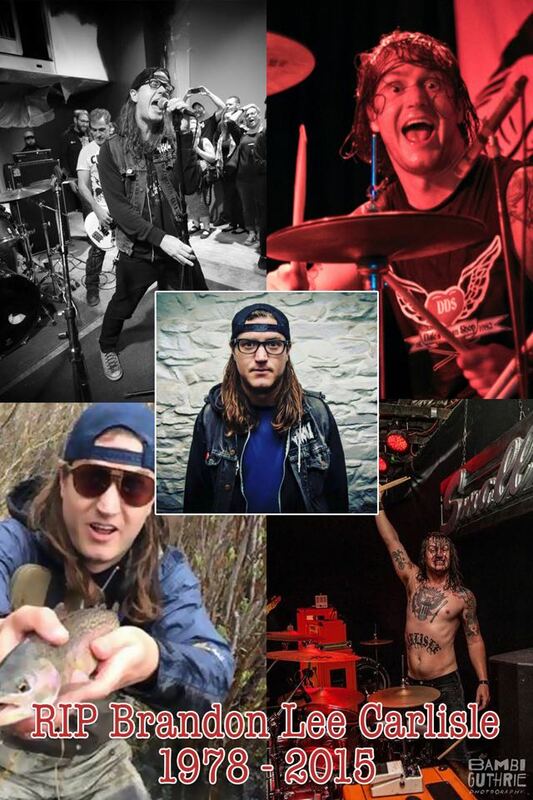 I’ve been following all of the great stories that many in the Teenage Bottlerocket family have shared about him and my heart goes out to everyone. He will be missed greatly. If you are so inclined, please donate to help with the hospital and funeral costs or spread the word in your community. I haven’t been speaking about it very often given that I’ve been pretty heads-down working away on it, but Sumeru Press and I are ever so close to releasing the anthology of Canadian Buddhist women’s writing. We’re now in need of a title. Please either email info@sumeru-books.com with your pick, leave us a comment on Facebook or feel free to pick from the poll questions below. Comments Off on Help Name a New Buddhist Book!